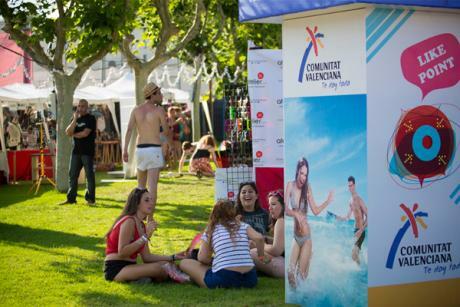 Low Festival, one of the most important and charismatic festivals in Spain. In low Festival, you can enjoy "lower" and a "lovver" sustainable Festival. An outstanding cast with the best national and international bands and DJs; vast and comfortable infrastructure; green areas and a swimming pool for relaxation; international cooking with vegetarian options, gluten-free beer and alcohol free beer; access bracelets with an amazing chip that allows you to interact with your Facebook friends and to win thousands of prizes… To get a feel for what it's like, have a look at the map of the Festival grounds. 4 areas for open-air music. Be special in the two VIP zones (one of which has an Olympic pool which has already drawn the admiration of the public and the musical press). Permanent use currency, scenes right next to the other where music can be played without interferences! Clean grass on which you can dance and rest. You can always enjoy your little bit of private lawn!